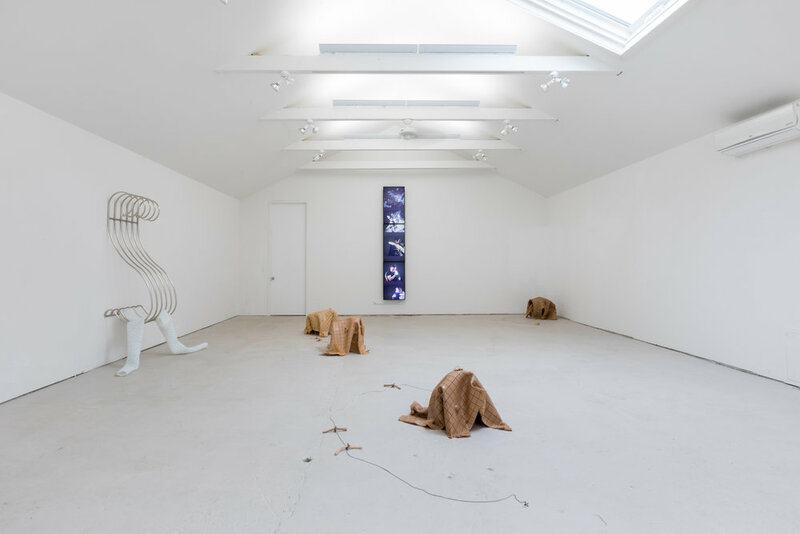 CRUSH CURATORIAL, an artist-run curatorial project in New York City and Amagansett, is pleased to announce a new residency program based in Amagansett. The residency program will primarily focus on emerging artists new to the East End and take place during the summer each year. For the inaugural program, CRUSH will host three prominent young artists—Jonah King, Hannah Levy, and Sara Stern — who represent a diverse range of practices: sculpture, drawing, performance and video. Their work will be presented in the exhibit, PLACE OF HEAVEN, situated at both The Art Barge at the Victor D'Amico Institute of Art and CRUSH CURATORIAL/Amagansett. Jonah King’s video installations explore the power of digital media over our relationship to the land. By invoking speculative narratives of utopias and apocalyptic dreams, King questions what it means to be human in an increasingly digital ecology. Hannah Levy’s work exists in a kind of design purgatory. The design strategies of impossibly sensual curved and leaning structures are pushed to a point of humor. Sara Stern's projects address the seams between digital and physical space — between the world and the computer screen; between shooting on location and shooting against an image of a location. She works across video, film, sculpture, photography, writing and performance, frequently incorporating sets, illusions, and elements of classic continuity filmmaking. A two-part exhibition, showcasing the artists’ work will be co-presented by CRUSH CURATORIAL and The Victor D’Amico Institute of Art (otherwise known as the Art Barge). Part 1 of the exhibit will open on June 30, taking place at both sites. The exhibits will include work selected by the artists after visiting Napeague Harbor and the archives of the Art Barge. Part 2, which will open on August 11 will take place at CRUSH CURATORIAL and will present new work or works in progress made during their residency. This marks an exciting collaboration between CRUSH CURATORIAL and The Art Barge. Jonah King has exhibited internationally in New York, Dublin, Belfast, Vancouver, Seoul, and Berlin. Recent solo exhibitions were held at MEHOYAS, New York and at Weekend in Seoul. In 2016, King received his MFA from Columbia University and attended the Skowhegan School of Painting and Sculpture. Hannah Levy’s recent exhibitions include: Past Skin, MOMA PS 1, New York (2017), Things I Think I Want, Frankfurter Kunstverein, Frankfurt, Germany, (2017); Touchpiece, Hannah Hoffman Gallery, Los Angeles, CA (2017). Levy received her BFA (2013) from Cornell University and a Meisterschuler title from Stadelschule, Frankfurt am Main, Germany (2015). 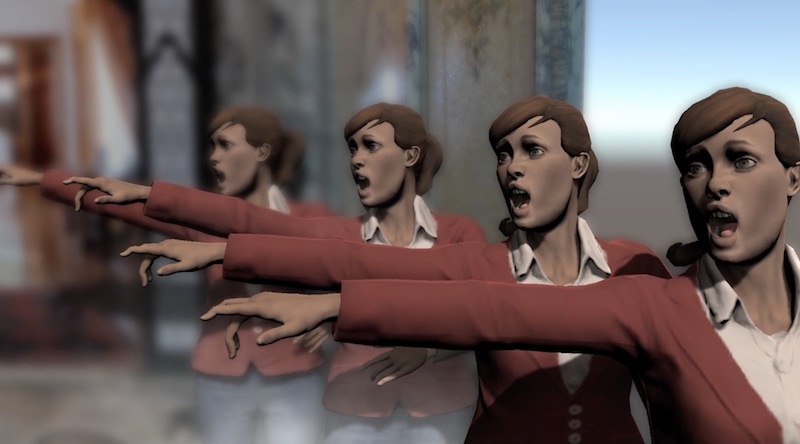 Sara Stern has exhibited and screened her work in the US, Austria and Germany at venues including The Jewish Museum, New York; Anthology Film Archives, New York; the Museum of the Moving Image, New York. Awards include the 2016 Austrian American Short Film Festival Award for Best Film in the category of Experimental and Conceptual. Stern received her BA from Harvard University and MFA from Columbia University (2017). The Victor D’Amico Institute of Art is a summer art school located on the eastern end of Long Island. Founded in 1960 by Victor D’Amico, Director of Education at the Museum of Modern Art, the Institute is situated on a World War I Navy barge moored on Napeague Harbor. Through weekend workshops, open studio sessions, and evening events, The Art Barge prides itself on furthering arts education and reflecting the rich art history of Long Island.